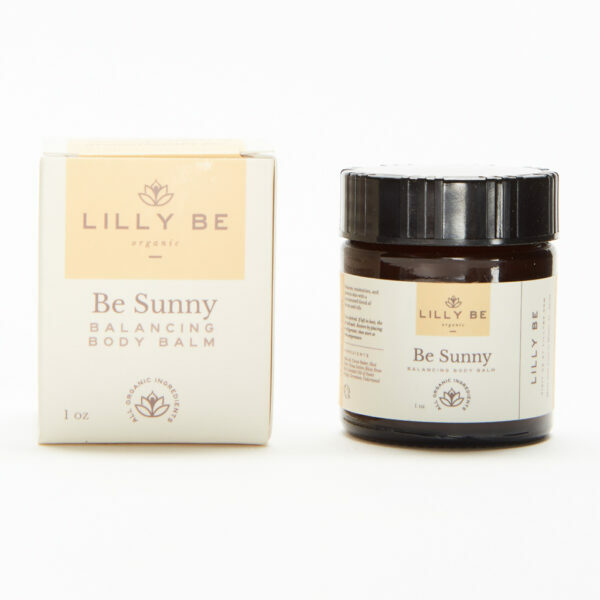 Be Sunny is reminiscent of taking a walk in sunny woods. Grounding Cedarwood and uplifting Orange create a sweet and woodsy aroma that balances, moisturizes, and protects your skin. Cedarwood – Its purifying properties gently calm and soothe troubled skin while promoting confidence and calmness. Geranium- Its strength lies in the ability to regenerate tissue and balance the production sebum. Induces a positive state of mind and releases negative memories. Sweet Orange – Rejuvenates dull or wrinkled skin. Relieves negative emotions and promotes happiness. Use as desired. This is a concentrated formula and a little goes a long way. If left in heat, the oils will melt. Restore by placing in refrigerator, then store at room temperature. Use with Be Relaxed Dead Sea Salt Body Scrub for ultimate skin smoothing, relaxing benefits.